Side tables are the perfect candidates for functional living room! They come in so many different styles to impact the overall living room cozier environment! Not merely just in living room, any of your organized space for sitting can be made look complete by just adding the side table to chair and couch sides! Now you can go easily to create any number of furniture at home using the pallets, this episode of pallet wood recycling is going to be more special and you will find much new to explore with pallets! 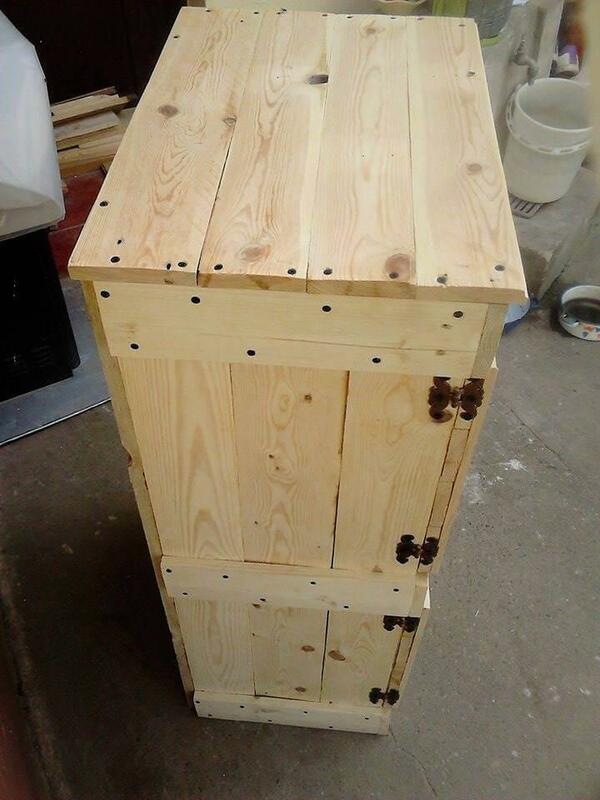 By using rustic and discarded pallet skids this feasible but functional shape of DIY pallet side table has been made which can also storage friendly and comes with drawers to store your miscellaneous items! 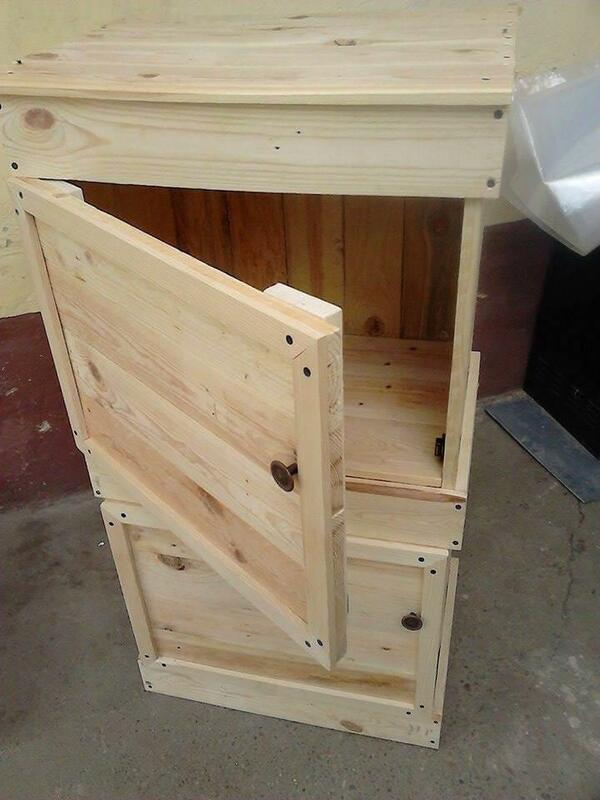 It will also work great as a pallet end table and flat top of it can be used for to create beautiful display of your interesting items especially that of mural and picture frames! Using the door hardware, wooden door have been perfectly attached to cabinet sides and can spin around for smooth opening and closing! 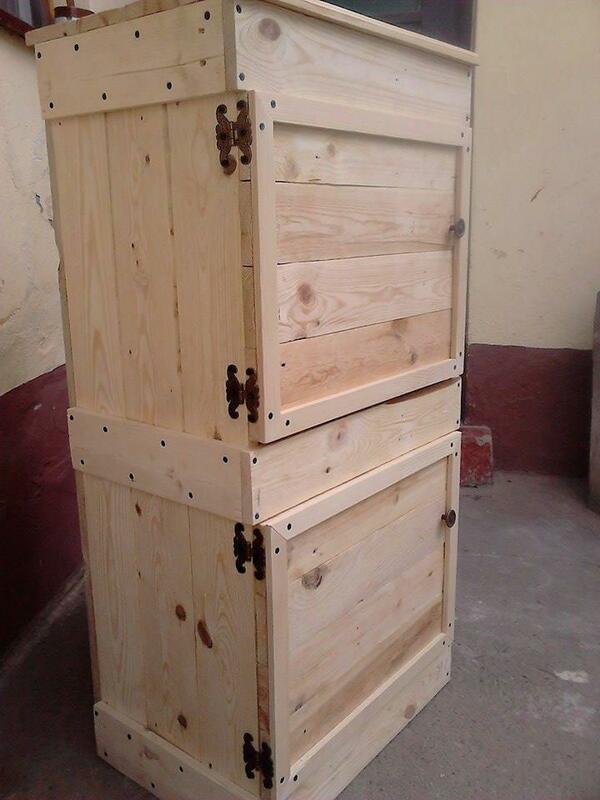 Recover the pallets into this brilliant cabinet shape also awesome to use as side table! Use dismantled pallets to create a box and using the same removed pallet slats to build the doors and inside shelving levels! Do sand the integrated wood for a sparkling wood tone and an arresting brightness on the wood grains! Assemble all in precision to get a cabinet with more charm and grace! Old vintage hinges have been used to assemble the doors! Leave it in rustic bright wooden tone or plan a nice finish for it using the stain, varnish and a wooden sealant as polyurethane! Stain will also make it stronger to live last and paint will come in handy to get modern chic look of it! Colorful Pallet Side Table or Nightstand! !